Shake Bourbon, Grand Marinier, and bitters over ice. Strain into martini glass. *To make Smoke Cherry: Soak the cherries in Dry Vermouth and Four Roses Bourbon for a week and then smoke a in the smoker with cherry wood for 5 hours. The public decided the best holiday bourbon cocktail. Flaming Pyroses,” a drink featuring Four Roses Single Barrel Bourbon, Grand Marnier, flaming candied orange peel, smoked Kentucky cherries and orange bitters. 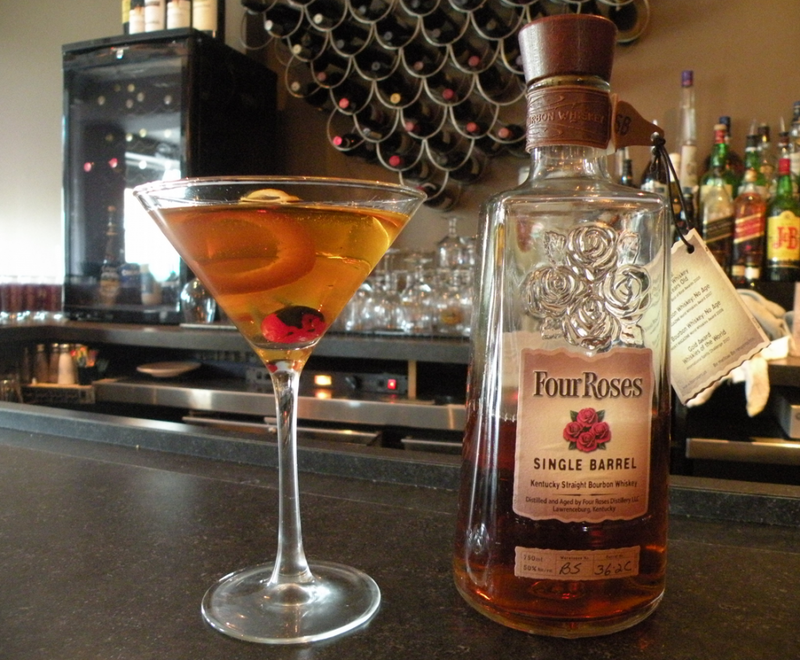 A total of 14 restaurants & bars along Bardstown Road and Baxter Avenue in Louisville featured specialty Four Roses holiday cocktails the week of Bardstown Road Aglow. 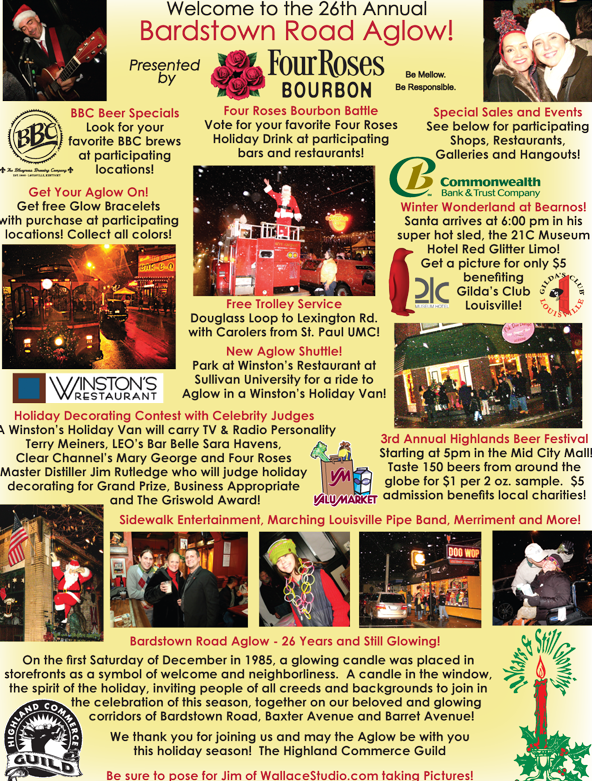 It marked the second year for the contest and the third year Four Roses was title sponsor of Bardstown Road Aglow. More than 800 votes were submitted via text message, email and Facebook from Nov. 19 through Dec. 4.